I was interviewed some time ago by a marketing media outlet to spell out the benefit of positioning and what it takes to develop a compelling proposition that not only helps companies win but also creates the necessary equity needed to weather crisis that a company will surely face from time to time. More than ever before reputation is taking centre stage for the C Suite, reputation risk today ranks amongst the highest risks and it is getting the attention of the C Suite. Therefore, Public Relations today has the perfect opportunity to be in the board room and evolve to a more holistic reputation management. I like the opportunities that PR professionals have today. However, we need to evolve beyond controlling negative media coverage and propagating the positives. Here is the Q&A, which I feel very relevant to the evolution of public relations to reputation management. Question: How important is right positioning for any brand? Ashwani: At Astrum, we believe that the right positioning is the difference between winning and losing. A clear position is being persuasive. I believe that a brands’ position is reflected in its cumulative perception in relation to its competitors. If that cumulative perception is differentiated and compelling, it will be very persuasive and the brand will win in the market. This is what we at Astrum do for our clients. Question: Could you share any one brand that has been brilliantly positioned and one which is not? Ashwani: Rather than talk of poor positioning, let’s focus on a brand that has done a great job of it. A good example is Fogg, the deodorant brand. In a competitive market, it came up with a simple proposition, ‘why pay for gas; I offer you 800 sprays’. Spend your money wisely and get better results by using Fogg. Today it is a market leader and has taken a march over the leader – Axe. Fogg communicated its strength clearly, simply and was different from its competitors. It beat the competition. Question: How has marketing today has taken a different form? Ashwani: I will not talk about the usual, which is the role of internet and mobile and how social media has changed everything. That is known. But let’s dwell on its impact, which I believe is centred on Trust, Experience & Engagement, in other words the new avatar of Brand Equity. So what drives this Equity? 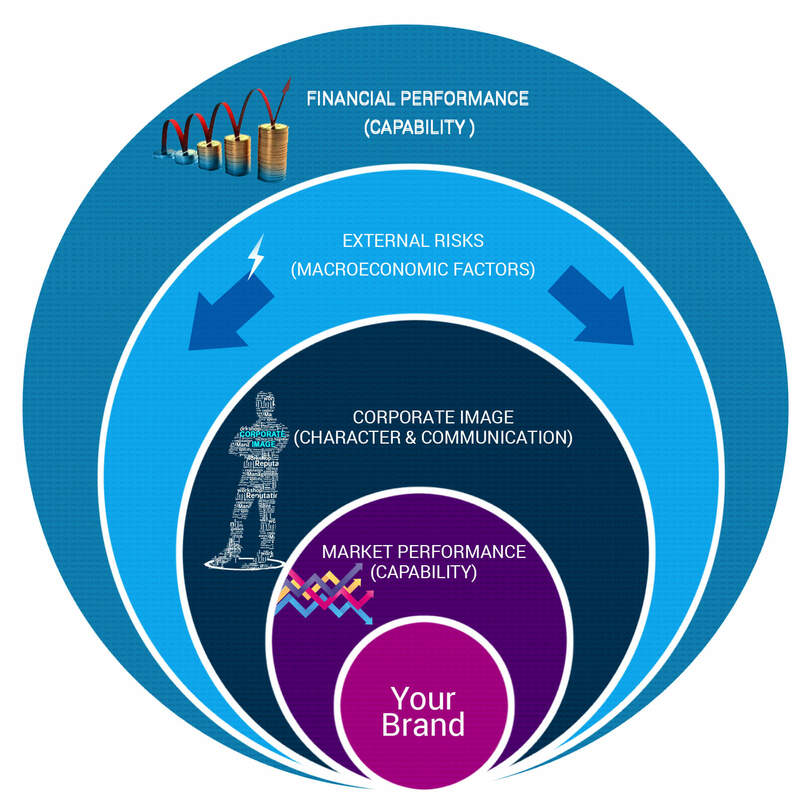 I believe Capacity, Character and Communication, what we call the C Cube, are the dimensions of Brand Equity today. What does C Cube stand for? Communication that is rooted in authenticity and thought leadership. Question: Is PR what it used to be 10 years back? What do you like and dislike about the change? Ashwani: PR today is more than just about controlling negative media coverage and propagating the positives yet it continues to be devoid of understanding the very behaviour that PR seeks to influence. Science is about using research to create a deep understanding of the company’s stakeholders to develop an action and a communication agenda. This also sets a solid base for measurement of outcomes moving it beyond measuring press coverage or social media metrics. Client’s value this approach and this is really what I believe is the future of public relations. Question: What are your suggestions to the brands out there in order to win the rat race? 1. Know your audiences and their eco-system of information and influence well. Don’t just focus on today, look into the future and bring it to today. 2. Keep your promise simple and clear. Be relevant & compelling. 3. When things do go wrong. Apologise, Acknowledge & Act to fix the problem. Question: How important is understanding of the consumer? Which brand in today’s time completely has that? Ashwani: That’s my mantra number 1. Today marketers have generally lost an understanding of their consumers, whilst the research investments they make have gone up! We need to revive that and smart companies who have done so, are winning. We help clients understand their consumers better and enable them to develop products and services ahead of their competitors. I greatly admire the work that TATA SKY has done and it shows that they have an astute understanding of their consumers. Question: How has research and data become the most important weapon in any marketer’s arsenal? Ashwani: Successful marketers need proprietary insights to stand apart from their competitors. The research and data enables that. Marketers need to leverage the science to create persuasive communication. Question: How difficult is it today to handle corporate image management considering the digital intervention? Ashwani: A similar question was asked when Radio came into existence and again when TV became a reality. Each communication platform brings with it different set of opportunities and challenges. We need to learn about them and adapt ourselves quickly. Question: What is your idea of a best conversation between a brand and a consumer? Ashwani: One which is rooted in the principle of ‘mutuality of interest’ and is respectful of the other.